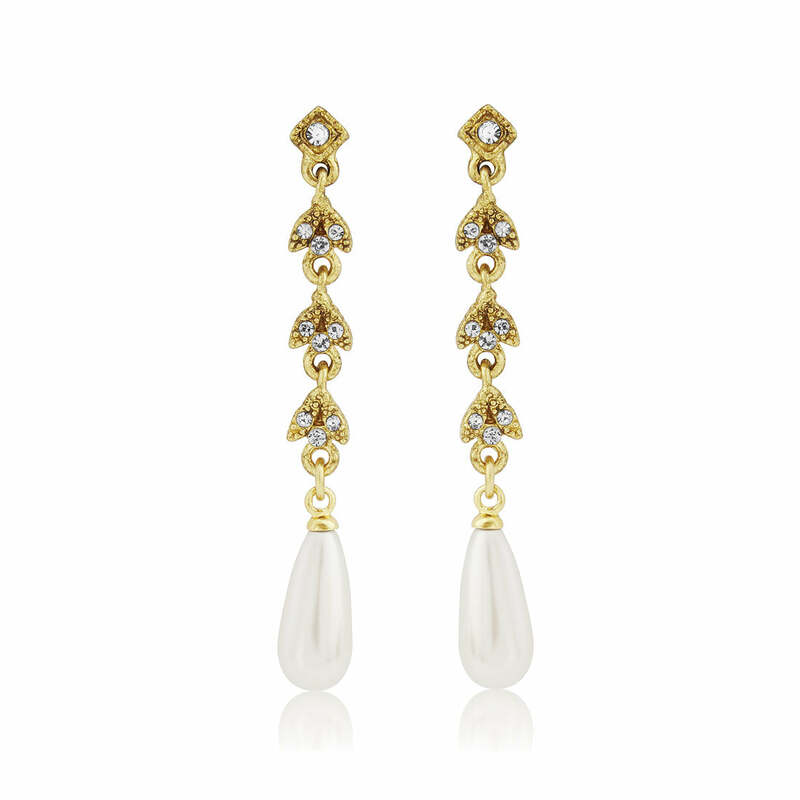 The epitome of vintage style, these beautiful antique gold crystal and pearl drop earrings are effortlessly elegant. Brides who adore Old Hollywood will adore this pair. Sometimes the most simple designs make a lasting impression. Golden Dream Earrings are the perfect example of this with their understated and chic drop design. Inspired by precious jewellery from Old Hollywood, this antique gold tone pair are scattered with shimmering clear Austrian crystals and feature a single pale ivory drop. Beautiful earrings for brides who adore vintage elegance, their simplicity creates a delicate yet luxurious style. Perfect to enhance gold detailing on an exquisite wedding dress or to accentuate a metallic special day theme, they look especially stunning on ladies with short hair or with hair worn in an up-do. Undoubtedly a pair that will be become your go-to earrings when the occasion calls for a touch of golden glamour, their classic style ensures they look as fabulous worn alone or teamed with a complementing hair accessory.